“How did you begin selling your art online?” I get asked this question a lot. 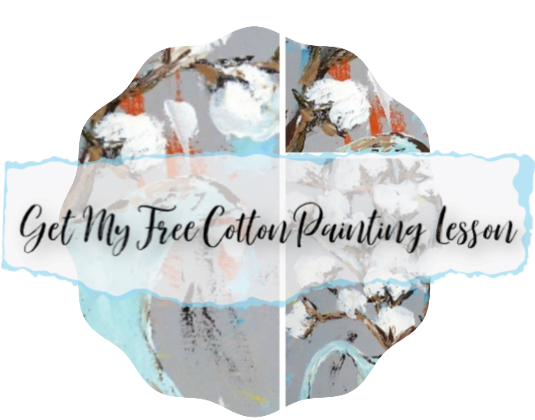 While I am not a marketing expert, I can tell you what I did to get my art business up and running. It wasn’t something that I sat down and planned. My business sprouted organically and spontaneously, but I’ll share with you what I can look back and see as the 3 easy steps to begin selling your art online. The very first thing that I did was create a Facebook business page. I was sharing my art on my personal page, but was encouraged by a friend to create my own business page. I began networking with others and my page grew pretty quickly. I basically used my Facebook page as my selling platform for the first few months. It is still my biggest audience and brings the most traffic to my website. The next step I took was using Paypal invoices to bill customers who were interested in purchasing my art. From there I went to Etsy, and a few years later created my own website. There are several ways to take payments online. Paypal, Etsy, Shopify, and Square are just a few. It was easy for me to send Paypal invoices to customers when I was just selling one or two things here and there, but as things progressed I needed a better way to keep up with everything. That’s the main reason I moved to Etsy. Then I got tired of all the fees, so I created my own website. The bottom line is that you need to have a way to get paid. Keep creating and keep sharing! Share your process of making as you go. Share the supplies you use. Share the finished pieces. Post on Facebook often and consistently. Pick a few more places to share…Instagram, Twitter, or Pinterest work well for most people. Basically…..just share! Share a LOT! AND be sure to interact with fans that comment on your work. Be authentic. Be you and they will come back for more. I know this sound simple. It is! This is the foundation of my entire business, and it was not hard to do. Over time I have tried to be more methodical and plan things the way “experts” suggested, but as a creative person, I find that spontaneous, in the moment kind of sharing on social media is what always works best for me. I post often and sometimes schedule posts, but the spontaneous ones that I haven’t thought about ahead of time are usually the most popular. So, I want to encourage you to go ahead and take that first step! You can do it!! Create a Facebook page and share your work with the world! I’d be happy to answer any questions you may have. Leave me a comment! I’d love to hear from you. Here’s a reminder for you to pin and save for later. Thanks for your simple but effective suggestions…..can you actually sell from your Facebook business page? Yes. You can sell from your page. There are lots of options out there now and you can put a shop button on your page without even having a website. Just Google “how to sell on Facebook”.